Falling asleep beneath a blanket of stars listening to the distant sound of Nubian drums, awakening to the muezzin summoning the faithful to prayer, sailing past villages frozen in time, and visiting magnificent temples are just some of the experiences that make sailing down the Nile in a felucca a once-in-a-lifetime adventure. 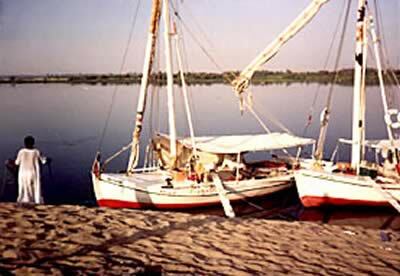 For those endowed with a spirit of adventure and a sense of history, a 6-day sail on a 30-foot, lateen sail felucca from Aswan to Luxor is a trip through an open-air museum. Stops are made at three important archeological sites: Kom Ombo, Edfu, and Esna. Kom Ombo, situated on a hill overlooking the Nile, was a strategic stop on the desert route between Nubia and Ethiopia. This temple is dedicated to Harwar and Sobek. Look for the mummified crocodiles in the near-by crypt! Down river at Edfu, horse-drawn carriages transport visitors through town to the magnificent Temple to Horus (Apollo to the Greeks). The temple, the largest after Karnak, is guarded by the falcon-headed god. Started in 237 BC under the reign of Ptolemy, the temple is considered one of the finest examples of Ptolemaic art in Egypt. 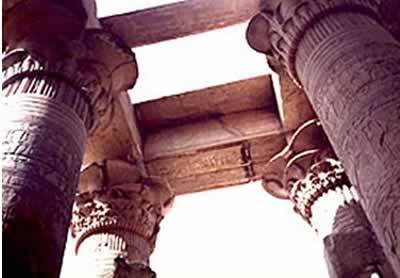 The last major stop is Esna to visit the Temple of Khnum. It is one of the best preserved and restored temples because, for centuries, it was concealed under 25 feet of sand. 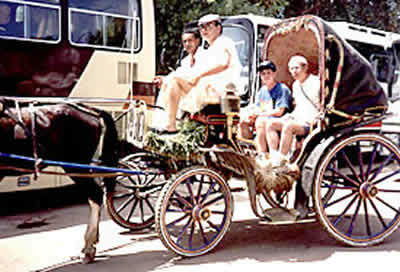 The leisurely and informal nature of the trip means that everyone takes a different trip. Visitors might find themselves a guest in a Nubian home, or buying fresh baked bread in a village seldom visited by outsiders, or shopping in a colorful bazaars, or dancing late into the night to the sound of Nubian drums. The scenes along the Nile are timeless: A man in a long flowing galaibya leads a donkey laden with sheaves of grain down the dusty road. A young boy flicking a switch herds a flock of sheep. A woman fills an urn with water from the Nile, places it on her head, and walks back to her home. A man leads an ox around the waterwheel bringing water up from the Nile to irrigate the fields of corn. Every day brings a new montage of sights and sounds. To the people of Egypt, the Nile is everything. They drink it, wash in it, cook with it, fish in it, water their animals, and use it for irrigation and transportation. Life along the river has changed very little since biblical times. Falling asleep in the cool night air under the blue-black sky, counting shooting stars, hearing only the gently flap of the sail makes sailing at night magical.All too soon the adventure ends, but what a place to end. Luxor, the site of ancient Thebes, was the center of Egyptian power from 2,100 to 750 BC, and is a city unlike any other in the world. Its tombs, temples, and statues are a witness of man's ageless achievement. The Temple of Karnak, two miles north of Luxor, is the largest temple of its kind in the world. Across the Nile from Luxor is the Valley of the Kings, the burial ground for the great pharaohs. Sixty-four tombs, including The Tomb of Seti I with its breathtaking drawings and relief's, have been found; but only a few are open to the public. 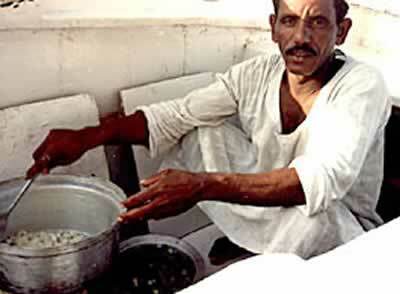 Meals on the felucca, cooked by the captain on a one-burner stove, are basic but adequate. Breakfast is usually hard-boiled eggs, fresh Egyptian flat bread, apricot jam, and tea. A light lunch of fresh fruit, bread and tea is usually sufficient. Dinner often consists of rice, okra, fish, tomatoes, bread, and tea. Conditions on the feluccas are primitive, but the inconvenience caused by the austere accommodations and the lack of facilities are offset by sailing past biblical-like scenes during the day and under star-filled skies at night. A felucca sail allows visitors an intimate glimpse into the power, grandeur, and timelessness of Egypt, one of the most fascinating countries in the world. In 450 BC, Herodotus wrote, "There is not a country that possesses so many wonders," and it is still true today.